Tannot Mata Temple, about 180 Kms from Jaisalmer near Pak Border. Tannot Mata is a temple in western State of Rajasthan in District Jaisalmer of India. The Village is close to border with Pakistan and is very close to the battle site of Longewala of Indo-Pakistani War of 1971. The tourists cannot go beyond this temple to see the Indo Pak Border unless one has got the permissions in advance from the District and Military Authorities. It is now a tourist destination in India. The area is said to have oil and gas reserves. It is said that during the Indo-Pakistani War of 1971, Pakistani Army dropped several bombs targeting the temple but none of the bombs could fall on the temple and large no. of the bombs in the vicinity of the temple did not explode. After the war the temple management was handed over to Border Security Force of India. On date Border Security Force Jawans man the temple. The temple has a museum which has collections of the unexploded bombs dropped by Pakistan. During the Dussera ( Navrathri) lot of people visit this place. The BSF runs food cafe and small shops for general public need during this time, as nothing is available normally. 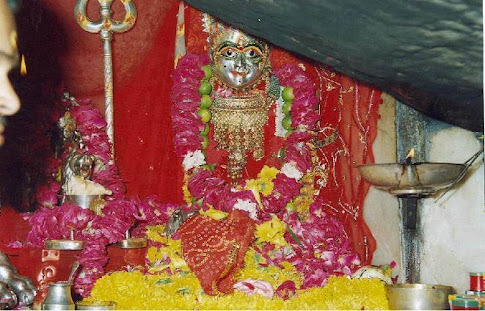 Jai Tanu Devi Jai Tanot Mata.